All the big moves digested into one page, like some sort of Snack bar. Probably a yellow one. After a day with some with transfer news ranging from the ridiculous to the sublime, not a lot seems to have changed. It’s the same every year, really. There’s humongous media build-up, followed by a big let-down when everyone realises that the day won’t change football irrevocably. But there were a few big moves. 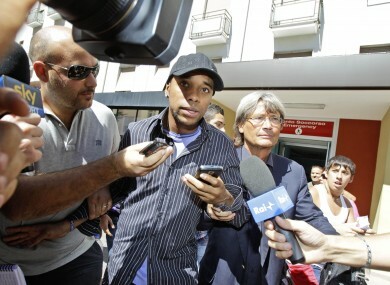 Robinho was the story of the day. In one of yesterday’s many will-he-won’t-he transfer sagas, the Brazilian moved from Manchester City (he was one of the few wantaways that did) to sign for AC Milan in a deal starting at £14.9 million. Milan now boast a dressing room with Robinho, Ibrahimovic and Ronaldinho. A tabloid story waiting to happen, that is. Asamoah Gyan was the big player coming in to the English Premier League. He joined up with Sunderland, signing Asamoah Gyan from Rennes for £13 million . Yes, he took that awful penalty in the World Cup for Ghana, but it will be interesting to see him team up with Darren Bent. Eidur Gudjohnsen and Jermaine Pennant both arrived at Stoke City from AS Monaco and Real Zaragoza after time away from the Premier League. Aleksandr Hleb, Jean Beausejour and Martin Jiranek are the impressive trio of signings completed by Birmingham City. Beausejour comes fresh from an impressive World Cup with Chile, Jiranek is captain of the Czech Republic and Hleb will look to emulate the form he showed at Arsenal a few years ago. The three players represent a real coup for Brum. Other notable deals included Klaas Jan-Huntelaar and Jose Manuel Jurado to Schalke, Joseph Yobo to Fenerbahce on loan, Paul Konchesky to Liverpool and Mauro Camoranesi to Stuttgart. Anthony Stokes moved to Celtic, Liam Lawrence went to Portsmouth in exchange for Marc Wilson, Pacos de Ferreira snapped up Padraig Amond and Ian Harte signed for Reading.